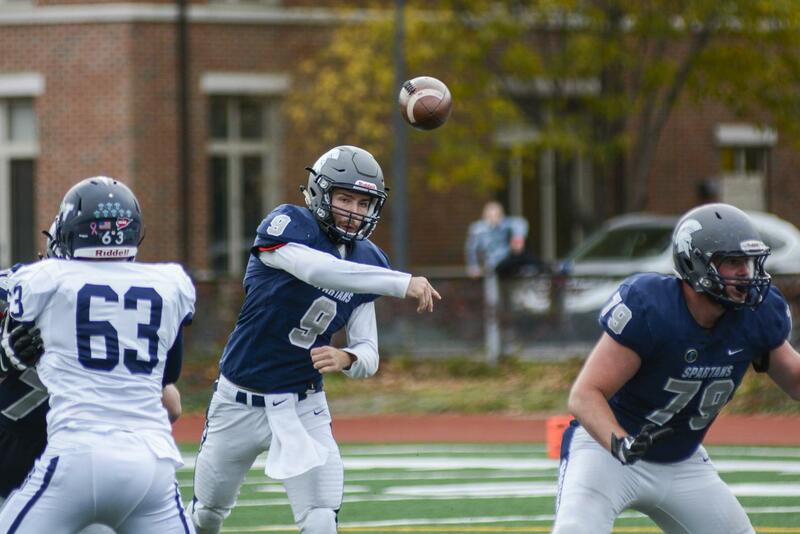 After defeating Westminster College in its penultimate game of the season, the nationally ranked Case Western Reserve University is 9-0 and one win away from finishing a perfect season. The only team standing in the way is archrival Carnegie Mellon University (CMU). In 2017, the No. 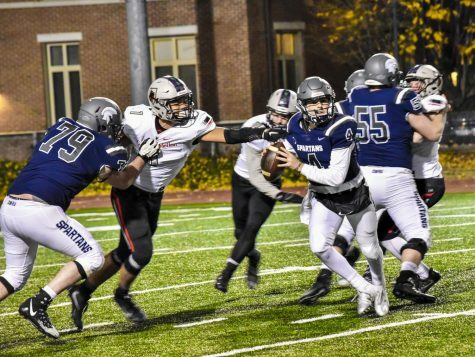 14 CWRU football team finds itself in the exact same scenario as the 2016 version of the team after dismantling Westminster College 41-10 on Nov. 4. The Spartans remain undefeated (9-0) and tied for the lead in the Presidents’ Athletic Conference (PAC) with Washington & Jefferson College (W&J). CWRU celebrated Senior Day at DiSanto Field and the soon-to-be graduating students did not disappoint. Fourth-year career running back Jacob Burke carried the load for the Spartans for the second consecutive week. The veteran back tallied 160 yards and three touchdowns on the ground, earning both PAC and University Athletic Association Offensive Player of the Week awards. Fourth-year career quarterback Rob Cuda threw for 177 yards and two touchdowns of his own. Burke’s stellar day pushed his career rushing yards total over 2,000, the eighth Spartan in school history to reach the milestone. He wasn’t the only person on the team to reach a milestone in front of the raucous home crowd either. 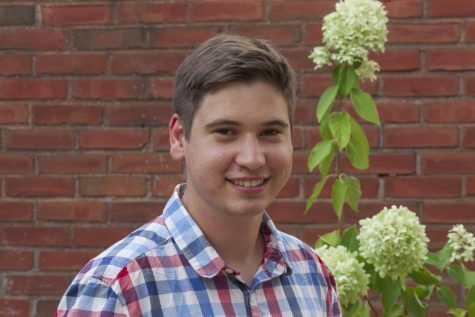 Fourth-year career kicker Ben Carniol converted two field goals and five extra points, pushing him over 200 points for his career. And Head Coach Greg Debeljak secured win number 100 as a head coach, earning him an unexpected Gatorade bath from multiple CWRU players on the sideline in the waning minutes of the game. Even though the fourth-year players shined, a rookie member of the team executed the play of the game. With the Spartans facing a fourth and seven up just seven points late in the first quarter, Debeljak sent out the punt team. But first-year punter Quinn Salaun did not punt the ball. Instead, after receiving a high snap, he immediately threw the ball to fifth-year returning linebacker Zach Lyon down the middle of the field. Lyon made the catch, the first of his career, and ran past the first down marker to continue the drive. Saluan said he was excited when he received the playcall to throw his first career pass and something extra to help the team out. “We practiced it all week… We knew we were going to do it, it was just a matter of when,” he said. Debeljak added that he knew Westminster was susceptible to the fake punt based on film from their previous games. The team even planned two separate fake punts depending on the Titans defense. Two plays after the fourth down conversion, Burke rumbled ahead for a two yard touchdown to put the Spartans up 21-7. Following the fake punt, CWRU scored 27 of the game’s final 30 points to seal the victory. The Spartans most impressive drive may have been their last one of the game. The offense gained 69 yards on 16 plays and ate up more than 10 minutes of clock time to begin the fourth quarter, preventing the Titans from having any shot at a comeback. Cuda’s two touchdown passes came from 34 and 17 yards out. The longer pass went to fourth-year career wide receiver Luke DiFrancesco, who caught the ball in stride on a post route for the score. Fourth-year career wide receiver Zak Hurd caught the other touchdown pass after initially bobbling the ball. Hurd then held onto the ball even as a Westminster defender delivered a hard hit. The Spartans defense performed as well as they have all season and held the Titans to just 10 points. Heading into the game, Westminster averaged 34.5 points per game, including putting up 33 in a loss to W&J. The unit totaled five tackles for loss, and second-year career safety Patrick Crossey led the team with 11 total tackles. Fourth-year career cornerback Adrian Cannon snagged an interception for the second consecutive game, leaping up in front of a Westminster wide receiver in the end zone to prevent a Titans score. The victory sets up a pivotal game at archrival Carnegie Mellon University (CMU) on Nov. 11 to finish the season. With a win in the 32nd annual Academic Bowl, the Spartans would finish the season unbeaten, clinch at least a share of the PAC title and probably earn a spot in the Division III playoffs for the first time since 2009. However, Debeljak is making sure the team is not getting ahead of themselves and focusing on the task at hand. Just last season, CWRU was in the exact same scenario (9-0 heading into the final game) and lost to CMU 26-21. “[The team is] really focused in on winning these last few games,” said Debeljak. The importance of the game has not been lost on the Spartans. McMahon said that on top of all the other reasons for playing well, the team has extra motivation because it lost to CMU the previous two seasons. 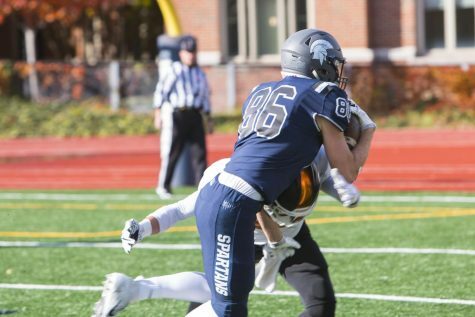 CWRU will need to contain fourth-year career running back Sam Benger, who has amassed over 5,000 yards and 58 touchdowns in a storied career, and fourth-year career wide receiver John Prather, who burned the Spartans with 178 receiving yards in the matchup last year. Defensively, the Tartans have allowed just 17.4 points per game (third in the PAC) and given up a PAC-leading 135.9 passing yards per game. The team has also allowed opponents to score only 66.7 percent after entering the red zone, the lowest in the PAC. Debeljak knows CMU is a well-coached team that excels in all three facets of the game and expects a hard fought game. 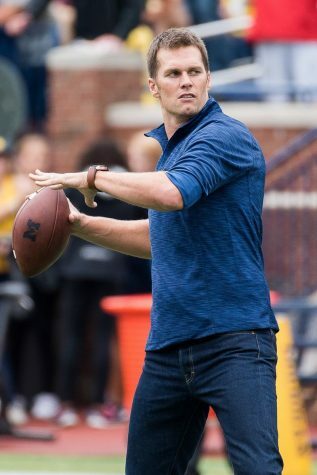 However, he has confidence in his team to pull out a victory, especially considering the team is healthier than a year ago.